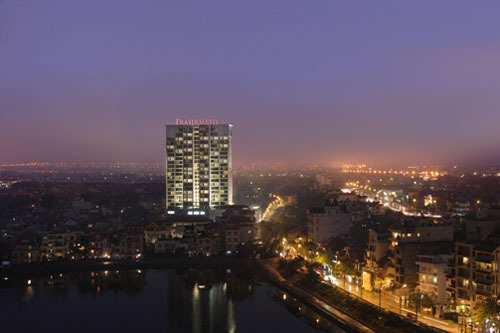 REIC - With its strategic location in Syrena Tower on Xuan Dieu Street, Fraser Suites Hanoi is a prime address for expatriates who desire a home close to the place of business, and yet offers a tranquil repose from the bustle of the city. 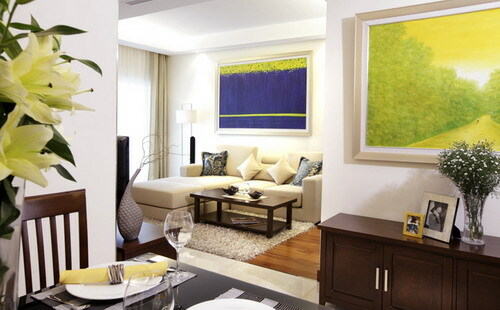 The well-appointed Gold-Standard serviced residence is in the scenic Westlake district, the residential enclave preferred by foreign executives and their families. Embraced as the newest and most modern addition to the serviced residence segment, it is already setting a new benchmark in concept, product and service delivery. 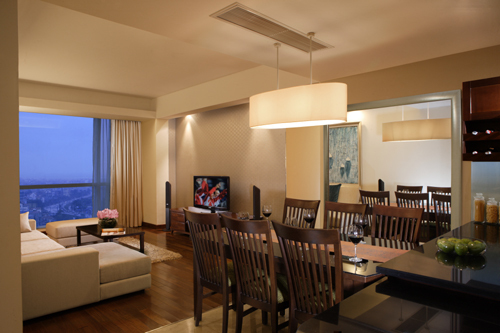 Ultra-chic, it is designed to meet the refined taste and expectations of discerning corporate travellers – with sophisticated amenities and equipment such as large screen LCD TV, entertainment system, as well as exclusive keycard elevator access. Leisure options are important when searching for a home. Amidst the sweeping gardens with unobstructed lake view are a well-equipped gymnasium, restaurant, and children’s playroom, with even more facilities at the inter-connected Syrena Shopping Centre. 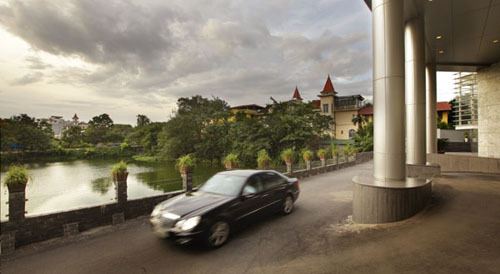 Great location, superb service and seamless access to everything you need – they’re right here at Fraser Suites Hanoi. 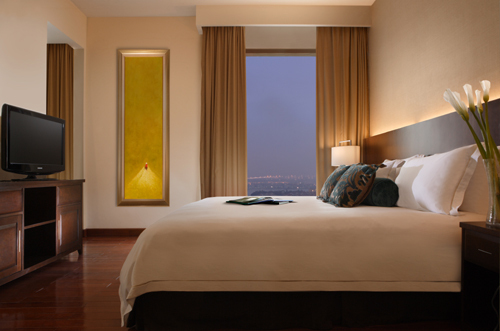 The tallest building in Tay Ho district, each of the residences offers a magnificent unobstructed view of Westlake, Red River and its scenic surrounds. Every one of the 186 residences offers innovative concepts seldom seen in Vietnam – such as the state-of-the-art home theatre system, extensive use of technology and modern interpretation of locally-inspired motifs and finishing. 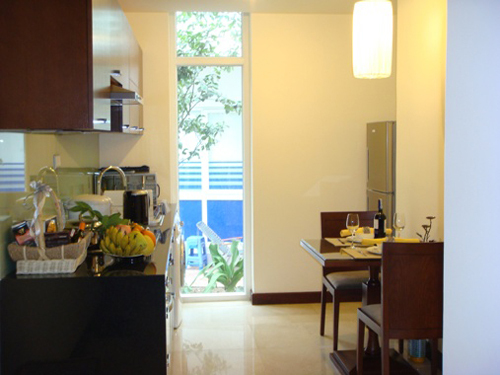 Elegant and stylish, it is a home designed to fulfil the needs of seasoned travellers. 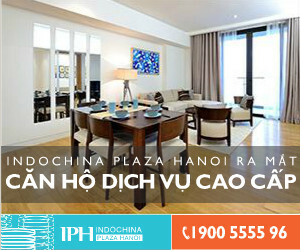 A resort-style swimming pool, well-equipped 24-hour gymnasium, café and children’s outdoor and indoor play areas are located within the complex, complemented by a large shopping centre connected to the residence. Everything you will ever need is within easy access. 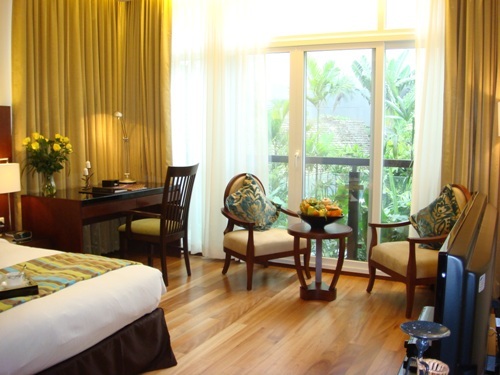 Each apartment at Fraser Suites Hanoi comes with separate living, dining, kitchen and bedroom areas, and is decked out in ultra-chic designs complemented by top-notch interiors, fittings and entertainment system. From recreation to relaxation, your lifestyle needs can be met without setting foot outside the serviced residence complex. But if you prefer to go shopping or sightseeing, there is the inter-connected Syrena Shopping Centre, banking facilities and free shuttle services to other parts of the city.